The new Commercial Vehicle Hold Lot accommodates drivers of commercial vehicles, including taxis, shuttles and limos. 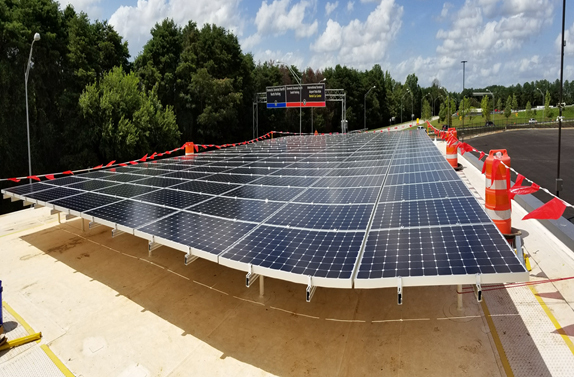 Hartsfield-Jackson Atlanta International Airport on Dec. 22 officially opened its Commercial Vehicle Hold Lot, the first completed facility under the ATLNext capital improvement program and the first City-owned building to house a solar production facility. This solar array is expected to generate annually about 100,000-kilowatt hours of electricity, which will be used to help power the new CV Hold Lot facility. 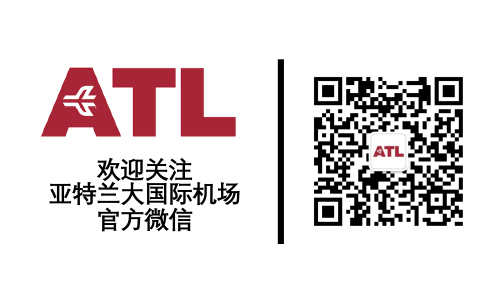 Given this and other features, the facility is on track to achieve LEED Gold certification, furthering the City’s and Hartsfield-Jackson’s commitment to resource conservation and operational savings. 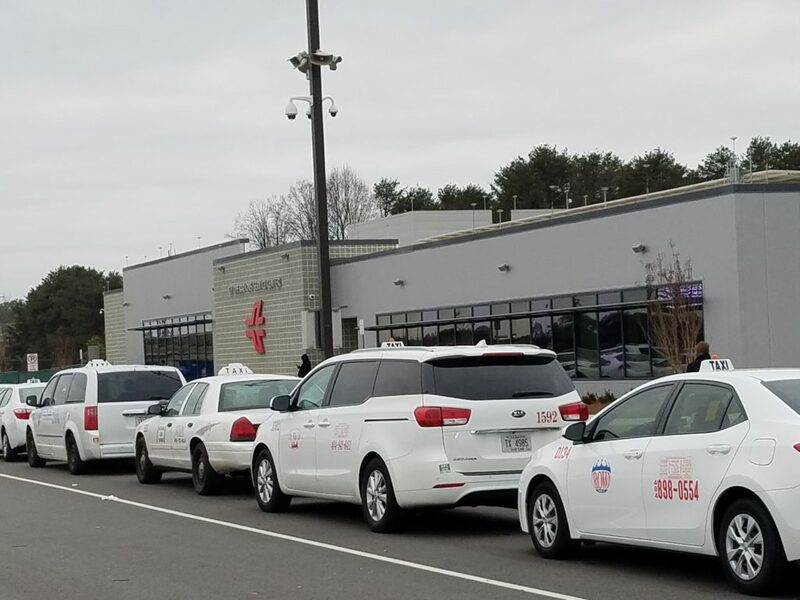 As a staging area for commercial vehicles – including taxis, shuttles, commercial buses, local/regional shared rides and limos – the 4,500-square-foot facility houses a lounge for drivers and Ground Transportation’s administrative offices. Energy conservation was a major focus throughout the project. Construction efforts resulted in more than 90 percent of total waste materials being recycled. The facility controls lighting with LEDs and dynamic glazing, windows that automatically darken with the sun’s intensity to reduce heat and glare. Its landscape was designed to thrive without permanent irrigation, and low-volatile organic compound construction materials safeguard indoor air quality. New roadways and a “flyover” bridge allow convenient access to the lot, reducing vehicle congestion on roads leading to the Domestic Terminal. This, in turn, can reduce vehicle emissions and expedite passenger pick-up and drop off. The CV Hold Lot is open daily from 4 a.m. – 2 a.m. and accommodates 300 taxis and 100 CV spaces. The previous hold lot will undergo demolition for the planned InterContinental Hotel and additional commercial development.